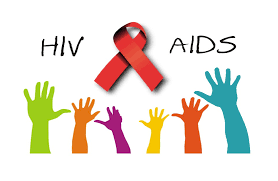 The Gombe State Government said it would unveil a new strategy in an effort to curtail the spread of HIV/AIDS in the state. The state government made this known through the state Commissioner of Health, Dr Kennedy Ishaya during the celebration of the 2018 World AIDS Day. The United Nations has set aside December 1 every year as World AIDS, to create awareness to people on how to prevent the disease. The day was celebrated with a rally from the Emir’s Palace, Gombe to the Collage of Nursing and Midwifery, carrying placards with inscriptions, “Know your status,” “Stop stigmatising people living with HIV,” “Play play safe” among others. In his speech at the occasion, Dy Ishaya, said the awareness campaign was to create awareness to people on how to prevent the disease. He added that there is also need to create awareness to people living with the virus to consider the disease just like malaria and any other type of diseases. The Project Manager of GOMSACA, Dr Suraj Abdulkareem, appealed for more support from the state government on vision 90 90 90, which he said is targeted at ensuring that people stay alive. Some of the People Living with HIV/AIDS (PLWHA), who spoke with Health Reporters under condition of anonymity, said that they were completely neglected with their rights in constant violation at homes, at work and public places. They regretted that there is no particular government policy that is targeted on how to help them as most people don’t see them as equal Nigerian citizens. “We are like any other citizens and we are supposed to have equal right like every other Nigerian”, one of the PLWHA said.